June 10, 2014 New York– Having good taste traditionally means to have a sense of style and an eye for design; but this age-old definition has been recently challenged by Michelin-starred restaurants from around the world. These trend-setting chefs are combining fashion and food by tailoring, dressing and designing culinary masterpieces. Join Fashion One, the premiere fashion, entertainment and lifestyle international broadcaster, as we journey to these unrivaled restaurants, in our brand-new original series, Fashion On A Plate. This 8-episode series will go behind the scenes to witness how a simple ingredient can transform into a haute couture piece of edible art. While showcasing their culinary ingenuity, chefs, designers and managers will interpret the term ‘fashion on a plate.' Chef Christopher Agnew of Caviar Russe stated, "As chef we use plates, whereas designers use fabric." This global gastronomical trip will take you from the streets of Paris, to the bustling metro of New York City, the royal boroughs in London, the paradisiacal resorts in Bali, the modern melting pot of Singapore, the chic bistros in Milan, the celebrated gourmets in Hong Kong and the festive eateries of Sao Paolo. Each half hour episode features a new city, each containing four world-class chefs who have mastered their craft. "It is about self-expression and style within the culinary world," views executive producer, Ashley Jordan, "Fashion One tackles fashion in the world of gastronomy, taking viewers in an exclusive inside look into the kitchens of the most prestigious culinary masters from around the globe." Fashion On A Plate premieres on June 26 and will be shown every Thursday at 21:30 (GMT+8 for Asia / GMT+2 for Europe), exclusively on Fashion One and Fashion One HD. Check your cable operators for your local TV channel listing. 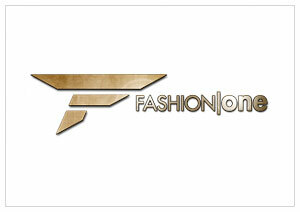 Fashion On A Plate is a Fashion One original programming series. The show is created by executive producers Michael Gleissner and Ashley Jordan, with Nichole Millikan and Cara Salmeri as series producers. To learn more about Fashion On A Plate and get exclusive bonus materials, please visit www.fashionone.com/foap or post your comments on @fashionone #FOAP.